White gemstones look fabulous, whether we are talking about stones that have a milky white color or about colorless crystals and diamonds. When you buy precious & semi precious stones jewelry, you have to take into account white gemstones. As you know, no jewelry collection is ever complete without pearls or clear gemstones. 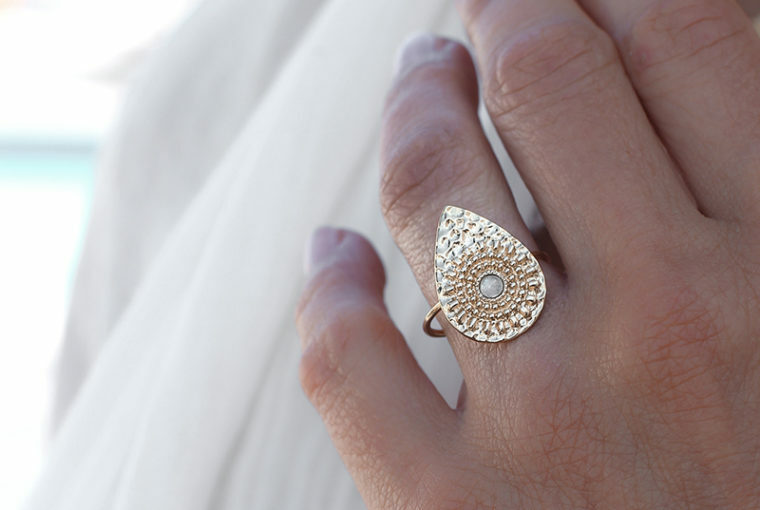 Want to know which are the best white gemstones? Read further to find out. Just a quick word ahead before we get started. You may notice that, sometimes, these terms are used interchangeably. 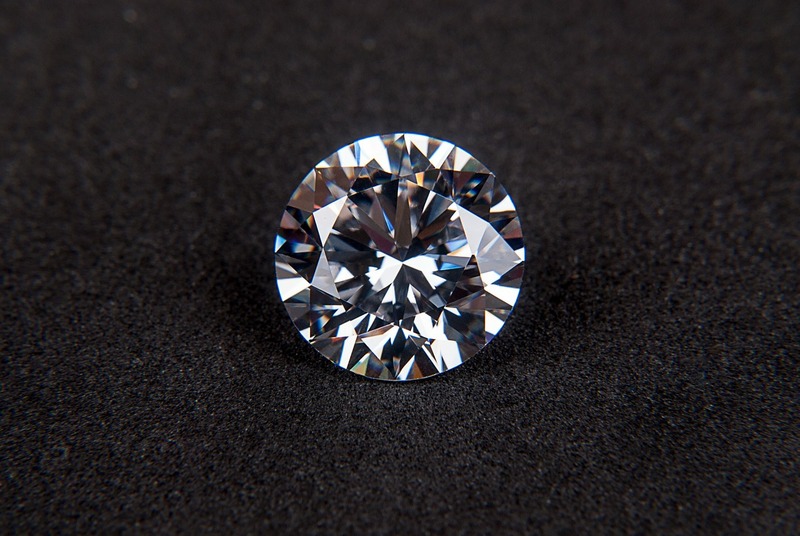 Some people may refer to diamonds as white gemstones when, in fact, they are clear. However, here we will make a distinction between stones that are actually white and those that are translucent. This being said, let’s see which fabulous gemstones have made our top. This fabulous gemstone is the queen of our colorless & white gemstones top. The most popular choice for engagement rings, diamonds are also the hardest gemstones with a score of 10 on the Mohs hardness scale. They reflect light beautifully and have a unique sparkle that mesmerizes people. But you probably knew all that. What we bet you didn’t know, though, it that diamonds are not that rare. In fact, there are a couple of semi precious gemstones which are rarer than diamonds. So, if not rarity, then what drives the price of a diamond? Its almost flawless clarity, carat weight, and amazing properties. Also, besides the colorless variety, you can find natural diamonds in almost every color of the rainbow. 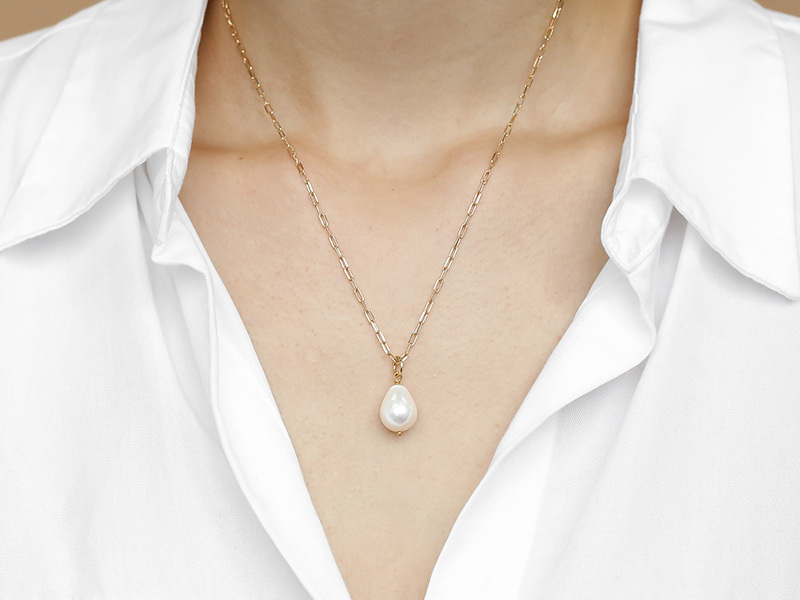 Another fantastic and highly popular gem on our list of white gemstones is the pearl. Pearls are organic gemstones, which means that come from living organisms. In this case, the oyster. There are four types of cultured pearls: Freshwater, South Sea, Tahitian & Akoya pearls. These pearls grow in oyster farms in different parts of the world. Wild pearls, on the other hand, grow in oysters that live in the ocean and are found accidentally by fishermen. Both types of pearls are natural as both of them come from oysters. When wearing pearls, however, you need to be careful as these stunning white gemstones can be fragile. Take good care of them to maintain their fabulous luster. One of the most mysterious white gemstones, the moonstone has a unique appearance that gave birth to lots of legends surrounding this stone. Because of its unique mineral composition, the moonstone looks as if glowing from inside. Its moonlight glow along with its feminine look makes the moonstone one of the best white gemstones for jewelry. It looks great in any setting and has a delicate luster that will draw attention to it. You should know, though, that, just like pearls, moonstones are not very hard. When you think of sapphires, you think of that dreamy deep blue color. But sapphires can be also pink or even colorless. White sapphires as, in fact, colorless and resemble diamonds very much. Of all the colorless & white gemstones, sapphires resemble diamonds the most, especially when they are low-carat. Bigger white sapphires, however, tend to be somewhat milky and don’t have the same clarity as diamonds. 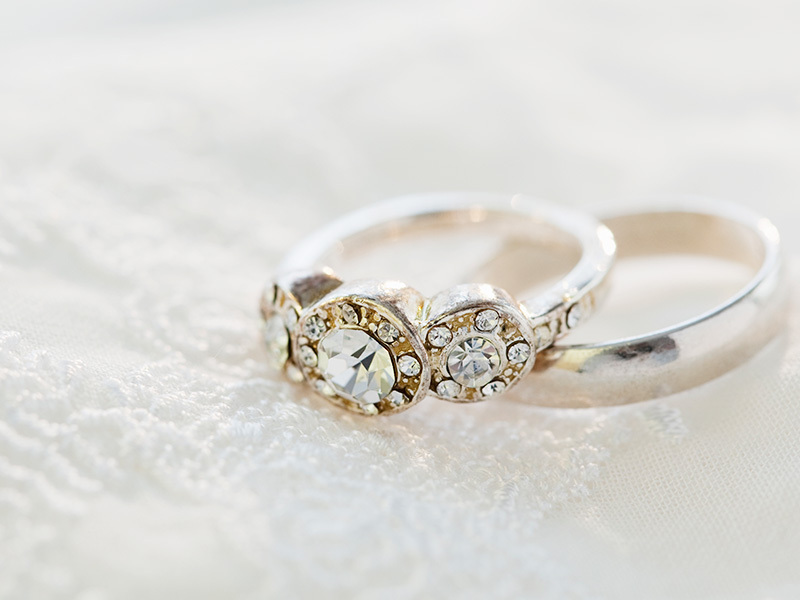 Still, the white sapphire is a very good choice for jewelry as it is a hard and durable gemstone with an amazing look. Also called milky or light opal, this gemstone is fabulous. Even though it is the most common variety of opals, this stone has made our white gemstones list because of its unique look and color play. When it comes into contact with light, the opal shows a beautiful iridescence and a delicate color play. They look great when set in earrings or bracelets, as well as necklaces. For rings, however, we recommend the ones that feature an opal in a bezel setting. Other types of settings expose the stone too much and make it prone to scratches. It’s very important not to confuse this natural gemstone with cubic zirconia, which is a synthetic variety. The zircon is a colorless gemstone with a high brilliance and a good clarity. They resemble diamonds a lot but are much more affordable. This amazing gemstone couldn’t miss from our colorless & white gemstones list because of its ability to reflect light in a unique way. 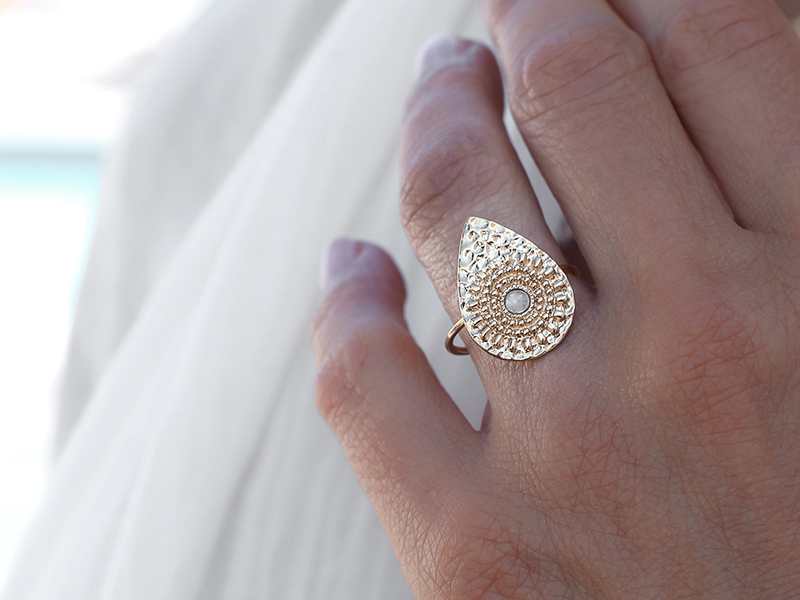 When wearing zircon jewelry it will show a fiery sparkle that will enchant and mesmerize you. One of the most diverse stones in our list of white gemstones, the agate exists in every color of the rainbow. White agates can range from perfectly colorless to milky opaque white. This gem has a good hardness score (7 on the Mohs scale), a beautiful luster and looks amazing set in gold or silver. It has a statement look that will offer you a lot of options when wearing it. In our list of colorless & white gemstones, the goshenite may be the least known one. But this beautiful gem comes from the same family as emeralds. It is usually colorless, but not as reflective as a diamond. However, it offers great clarity, has a good hardness score of 8 and looks amazing set in any metal. If you enjoyed reading about colorless & white gemstones, check out our other articles as well for more jewelry information. Visit Ana Luisa online jewelry shop to view our exquisite gemstone jewelry collections and discover unique pieces for you.